United Global Sourcing is proud to offer turnkey solutions for your manufacturing and fabrication needs. Many new clients come to us inquiring about our industrial manufacturing services, who want to know more about CNC machining and how it can help them create the quality product they’re looking for. If you’re new to this term, don’t worry! We’re going to cover everything you need to know about this manufacturing process below. CNC machining (or computer numerical control machining) is a unique manufacturing process in which a pre-programmed computer software dictates the movement of factory tools and machinery to create a desired product. This manufacturing process is great because it can be used to control a wide range of complex machinery. Everything from lathes and grinders to mills and routers can be controlled in this process. With the help of CNC machining, you can create complex three-dimensional cutting tasks from a single set of computer prompts. When a CNC system is activated, the desired cuts are programmed into the software, and dictated to the tools and machinery being used. These tools carry out the dimensional tasks that have been specified by the product engineer, similar to a robot. The language behind CNC machining is known as G-code, which can be written by engineers to control the various behaviors of each manufacturing machine. Things like feed rate, speed, and coordination can also be controlled. In most of today’s CNC protocols, the production of parts (via pre-programmed software), is mostly automated. The dimensions for a given part or product are determined with the help of computer-aided design (CAD) software, which is then converted into a finished product with a computer-aided manufacturing (CAM) software. 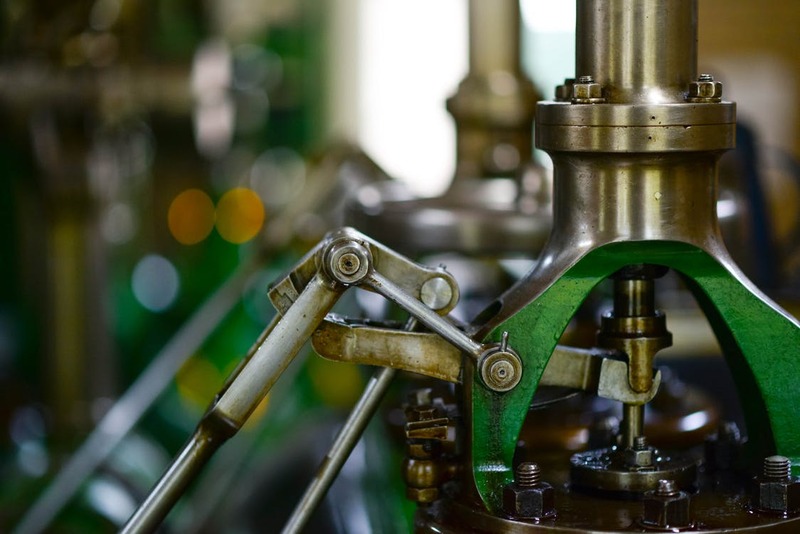 While any given work piece could necessitate a variety of industrial manufacturing machines and tools, many of today’s machines combine a variety of functions into one machine. At the end of the day, the CNC process allows for consistency in parts production that would be extremely difficult, and almost impossible, to replicate manually. According to history, the earliest numerical control machines date all the way back to the 1940s. As technology continued to advance, these machines were eventually enhanced with analog computers and digital computers, which led to the rise of CNC machining. Today, most of the CNC machines are completely electronic. Many CNC machines are used for ultrasonic welding, hole-punching, and laser cutting. 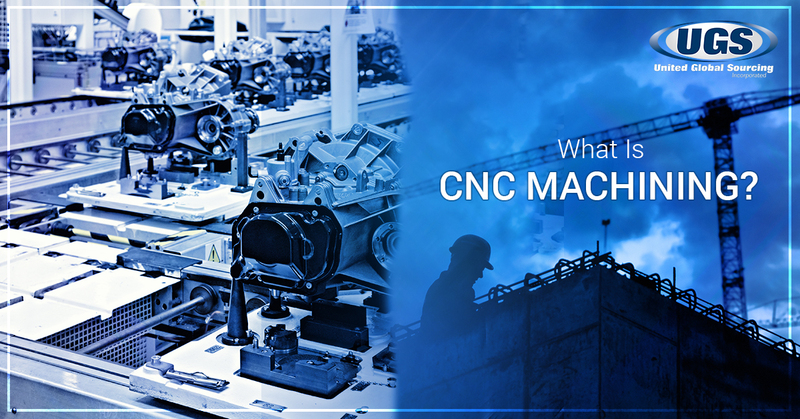 Let’s take a looks at some of the most frequently used CNC machines below. CNC Milling is a unique form of CNC machining. Milling itself is a machining process that is similar to both cutting and drilling. Like drilling, milling utilizes a rotating cylindrical cutting tool, but the cutter is able to move along multiple axes, allowing you to create a variety of shapes, slots, and holes. These mills are normally grouped by the number of axes on which they can operate and each axis is labeled with a specific letter. For example, you may already be familiar with the X and Y axes that represent the horizontal movement of the mill’s work piece. The Z axis often designates vertical movement, while the W axis controls the diagonal movement across the vertical plane. Most CNC milling machines offer anywhere from three to five axes. The more advanced mills are likely programmed with CAM technology to run properly. At the end of the day, CNC mills are an excellent option when it comes to prototyping. They are also widely used for the short-run production of complex parts, as well as the fabrication of precision parts and components. Ideal for mass production, as these machines create identical parts and components. Another type of CNC machining is plasma cutters. While there are handheld units available, the plasma cutters used in CNC machining use robotic arms to make precise incisions. These cutters work by sending a pressurized gas, like argon, oxygen, or nitrogen, through a small channel. In the center of this channel, there is a negatively charged electrode. When you apply power to the negative electrode, and touch the tip of the nozzle to the metal, the connection creates what is known as a circuit. A spark is then generated between the electrode and the metal. As the gas passes through the channel, the spark heats the gas until it reaches the fourth state of matter. Plasma cutters are a staple of the automotive industry, and they are used across custom auto shops and car manufacturers as well. Construction companies prefer to use plasma cutters on large-scale projects, like the cutting and fabrication of metal sheet goods. The Wire EDM / Spark EDM Process – This is an electrothermal production process where a thin metal wire (usually brass), in conjunction with deionized water, allows the wire to cut through metal by the use of heat from electrical sparks. Wire EDM can quickly and efficiently machine complex parts and precision components out of hard conductive materials. The Sinker EDM Process – During this manufacturing process, two metal parts are submerged in an insulating liquid. The liquid is connecting to a source of current that is controlled by a switch. When the current is switched on, an electric tension is created between the two metal parts. If the two parts are brought together within a fraction of an inch, the electrical tension heats the metal up so much that it melts. When complicated cuts need to be made at various levels and angles, it can be performed in minutes with a CNC machine. If you think CNC machining may be the best manufacturing process for your parts or products, contact United Global Sourcing today. We’ll help you find the best factory for your manufacturing needs!